Former St. Louis Blue's Goalie Bruce Racine founded the Racine Goalie Academy and is currently in his 11th season coaching St Louis area Goalies! Racine returned to St. Louis after a 15-year professional career, which included winning the 1991 Stanley Cup with the Pittsburgh Penguins and 1989 Turner Cup with the Muskegon Lumberjacks of the International Hockey League (IHL). Racine has been coached by NHL names such as Scotty Bowman, Vasily Tikhonov, Bob Johnson, Marc Crawford, Pat Burns, Roger Neilson, John Torchetti, Darryl Sutter, Mike Keenan, and Mike Kitchen. Muskegon was his first pro team, and in its Turner Cup title season of 1989, Racine had a 37-11 record and 3.63 goals-against average in 51 games. Bruce broke into the NHL with the Penguins in the 1990-91 season and was part of a squad that included hockey legends Mario Lemieux, Jaromir Jagr and Paul Coffey. Racine won a Stanley Cup with that squad. He gave his ring to his father who proudly wears it every day. 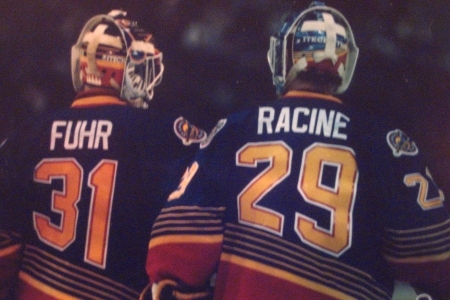 Racine teamed with Blues great Grant Fuhr and Jon Casey in the 1995-'96 season, playing in 11 games. That team included Hall of Famers like Wayne Gretzky, Brett Hull, and Al MacInnis. He made 89 saves and complied a goals-against average of 3.13. Bruce also played for the Toronto Maple Leafs with Felix Potvin and San Jose Sharks with Mike Vernon. Racine won back to back MVP honors for the Fort Wayne Komets while setting a franchise low goals against average in 1997/98 1998/99. In 2000, Racine took his skills overseas, where he was one of the stars of the Finnish Elite League. In the 2000-'01 season, Racine played for Lukko Rauma under the goalie coaching of Ari Moisenen and was named Expert Player (MVP) of the Year, Three Star Player of the Year and Fair Player of the Year. 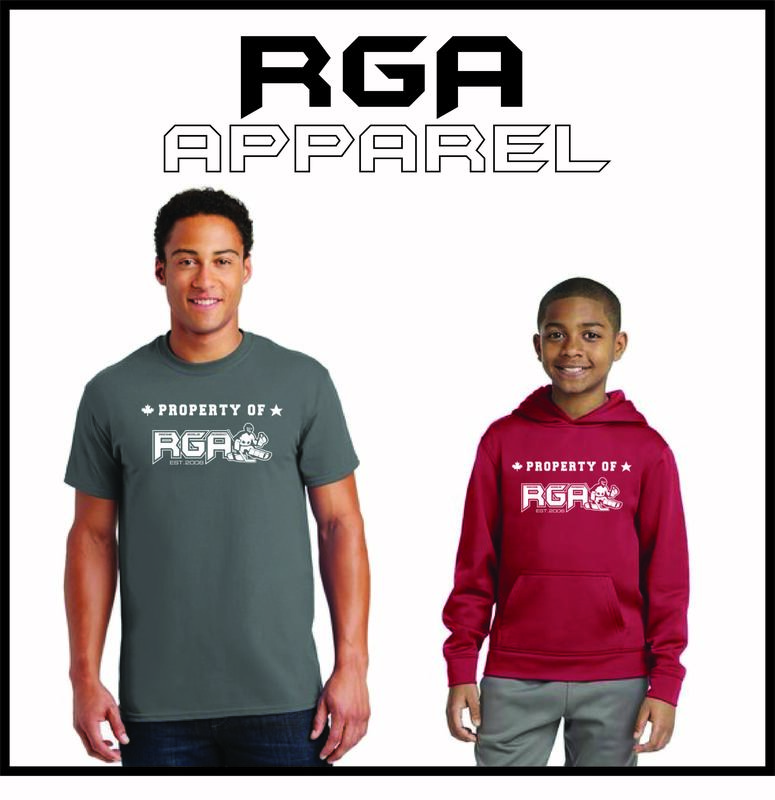 He played in 54 games, with a 2.45 goals-against average and a .918 save percentage. The following season he played for Ilves Tampere and played in 37 games. He had a 2.54 goals-against average and a .914 save percentage. Racine played 15 games for Ilves Tampere in the 2002-'03 season before an injury forced his retirement from the crease. Bruce is a five-time recipient of the Community Service Award in the IHL and the American Hockey League (AHL). Racine spent the 2004-'05 season with his alma mater, Northeastern University, as an Assistant Coach on the Former Boston Bruin, Bruce Crowder's staff. Before turning pro, Racine spent four years helping establish the Northeastern Huskies' winning tradition. 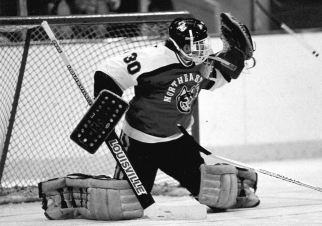 He backstopped NU to the Hockey East championship in 1988 and Beanpot titles in 1985 and '88, while earning MVP honors in all three tournaments. Racine was also a two-time All-American (1987 and '88). He collected Hockey East All-Star honors in 1985 and '87 and Hockey East All-Rookie honors in '85 as well. Racine rewrote the Husky record book; establishing NU goaltending marks for wins (57), saves (3620), games played (126) and minutes played (7601). Since his illustrious collegiate hockey career, Racine has been inducted into the Beanpot Hall of Fame (1995) and the Northeastern Hall of Fame (2001). In 1994, he was voted to Hockey East's first All-Decade Team. In 2009, he was voted to NCAA Hockey East 25 year Anniversary team as well as Northeastern's 25 year Hockey East team. The latter honor saw his Jersey number 30 raised to the Huskies Mathews Arena rafters. Bruce was born in Cornwall, Ontario and grew up in Canada's capital city Ottawa. After playing 1 year for the Hawkesbury Hawks of the CJHL he accepted a scholarship to Northeastern University in Boston. The Ottawa, Ontario native was heavily influenced by his father, Moe, and mother, Donna. Moe 'The Toe' Racine was an offensive lineman and kicker for the Ottawa Rough Riders of the Canadian Football League, winning 4 Grey Cups in a 17 year career. Bruce's favorite teams growing up were the Montreal Canadiens and the Montreal Expos! His favorite NHL goalie was 6 time Stanley Cup Champion, #29 Ken Dryden. His Favorite MLB player was Expos longtime 3rd baseman #29 Tim Wallach. 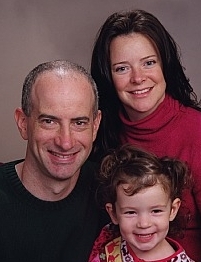 Racine currently resides in the St. Louis area with his wife Lori, a Principal and their daughter Logan, a former Lady Cyclones Hockey player and a Forward for the historic JB Marine Soccer Club! Bruce follows many sports including Hockey, Baseball, Football and Soccer. Bruce enjoys Golf and also studying maps and geography. Those that know him call him 'Racer'.